It’s fitting that today, as my young daughter tours a faraway country with her choir (and her mommy misses her dearly), I’m thinking about a special song she performed earlier in the season. I was drawn to the lyrics when I first heard her at practice. Now, bear in mind that practically every week she’s assigned about ninety thousand news songs to learn by heart, so a lot of lyrics come and go in our living room. But these words particularly grabbed me. They’re taken from a hundred-year-old poem, “Barter,” by American poet Sara Teasdale. Someone set the words to choral music (it sounds beautiful, by the way; here’s a choir in California to prove it). From what I can tell, “Barter” is about the value of life’s loveliness: those small but oh-so-important bits like the beauty of nature, the wonder of a child, the embrace of a friend. And I think (but I’m not sure, having forgotten to get a Ph.D. in literature studies) that the poet is saying it’s worth giving up everything you have – your riches, your time, your sweat – for even a moment of life’s loveliness. Jeff Ragsdale was one disconsolate dude. He was in New York, had survived a bitter breakup, and felt completely isolated in a city of eight million. Some folks, feeling thus forlorn, might hide away in their flat and flip channels all day. Not Jeff. 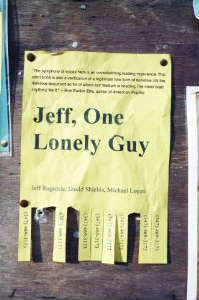 Last October, he put up fliers telling the world around him how lonely he was. He included a phone number. His real one. “If anyone wants to talk about anything, call me,” he wrote in his solicitation. It worked. He received calls and texts – thousands of them. Many originated within New York City limits but they also came from far-flung places like Japan, Saudi Arabia, and that country of the far north called Canada. One woman, describing herself as “incredibly lonely, too,” invited Jeff to go for a walk. A total stranger spontaneously told Jeff he’s “deeply loved.” Another kindhearted woman confessed she once went out with a stranger she met on Craigslist – simply because he had no one else with whom to celebrate his birthday. Some people had advice: write gratitude lists, consider buying a co-op. Some wanted advice – a few were desperate. Every single person who contacted him had one thing in common: They wanted to make a connection. They wanted Jeff to feel surrounded by people who care. Perhaps it was their way of making the world that much less hostile. See, I think Jermaine is saying, you’re not suffering alone. Even superstars, even the funny ones, they all can feel empty and alone from time to time. Check it out here. Or if you just want Jeff to know you’re thinking of him, give the no-longer-so-lonely guy a shout at 347-469-3173. “Only through service to others can anyone have genuine happiness.” I was interviewing an expert on virtues recently, and she made this magnificent claim oh-so-casually, it was as if she were telling me the weather forecast. I was intrigued. So the meaning of life has been all figgered out? Did I miss the front-page news? If it’s that simple, why don’t more of us know this stuff? With the release of a new book by John Hallward, maybe more of us will. 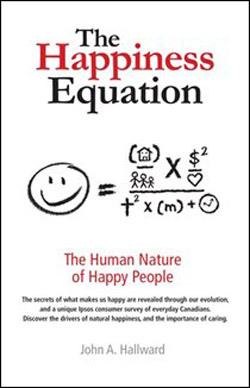 His book is called The Happiness Equation: The Human Nature of Happy People. The author, who’s a research executive with Ipsos, surveyed over 1000 Canadians about what makes us happy and found, well, pretty much what she said. In an interview with The Toronto Star, Hallward shares his golden key to utter happiness. In fact, he reiterates it three separate times: “Compassion over consumption.” That’s the secret. Three little – well, three medium-sized words. Hallward means we should do what we feel passionate about, forge connections with other people, be charitable, do volunteer work. That sure sounds like “service to others” to me. And in case you’re wondering, according to Hallward’s research, you can forget fame and riches. They won’t do it for you. Just stay out of debt. Then open your heart, and you’re set. Readers, writers, charity… doesn’t the connection jump to mind immediately? I belong to a few writers’ groups, and recently one of them posted a notice that the community of Slave Lake, Alberta, devastated this summer by fire, needs current books. Apparently the newly minted town library, along with every one of its books, was destroyed in the flames. Writers work in isolation, often with nothing to keep us company but a mega-mug of coffee and the crankiness associated with impending deadlines. Maybe that’s why most of the writers I know will latch onto any excuse to come out of hiding and help out their comrades. In my experience, they’re a generous and compassionate sort whenever it’s called for. Soon after the destruction of the Rotary Club of Slave Lake Public Library, the Writers’ Union of Canada voted to hold a book drive through its membership. Between this and other initiatives organized by bookstores, libraries, schools, publishers and other readers and writers, the library has received more than 26,000 books – surpassing the number of volumes they had to begin with. So many duplicates have come in that they’re already planning to sell off the extras and use the funds for any books not yet replaced. It’s Friday, so I’m feeling the fun: Let’s talk literature. If you could only pick one, what single book would you select for this town library’s collection? 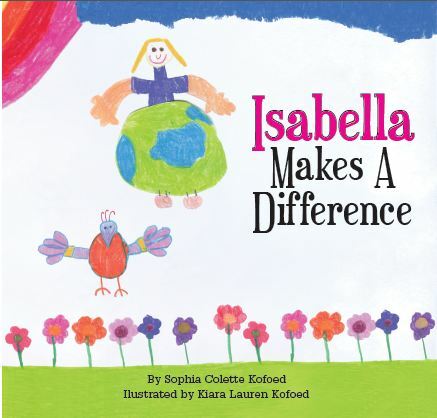 When Sophia Kofoed was six, she wrote a story about a fictional girl named Isabella who finds a successful way to make the world a better place – after her first two ideas sort of bomb. It’s called Isabella Makes a Difference, and it’s a wonderful tale about creativity, perserverance and collaboration. Mighty big ideas for a small first-grader, but this is a pretty special little student. Now that she’s the ripe old age of nine, Sophia, who lives with her family in California, has had her story self-published as a hardcover picture book. Little sis Kiara did the colourful drawings. Not only is the story well written (the apple doesn’t fall far from the tree – mom’s a writer too), but she packs the book with lots of bonuses. She includes lists of charity websites that might interest kids, blank note pages for goal planning, and a backstory to inspire other children to make positive changes. And here’s the part that makes you want to just hug her: With every book she sells, Sophia plans to donate part of the proceeds to elementary schools. Naturally. By telling others how they can make a difference, this budding author is, well, making a difference. Sophia, California is a little too far away for a hug. But here’s a sideways heart for you… ❤ I hope you like it. It’s the best I can do from 2,000 miles away. My copy of the beautiful book is personally autographed by the author and the illustrator – no charge for the happy face and the pencil-crayoned heart. I asked my friend why she finds these lines meaningful. “The poem just immediately resonated with me, and the older I get, the more it does,” she says. “It’s just beautiful in its simplicity, and I think it is a lesson we would all do well to learn.” She told me she first heard these lines from the lips of Diana, Princess of Wales, who was certainly no slouch when it came to acts of charity. Lovely, lovely. Since Diana of Wales and Adam of Down Under lived in separate centuries – and the time machine, to the best of my knowledge, wasn’t yet invented – I can say with some degree of confidence that Diana and Adam never met. 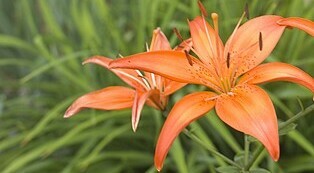 But they had something tragic in common: Both died before reaching their 40s. They also shared something magical. Both left lasting legacies by inspiring kindness and fortitude in those of us who continue to read their words. Postscript: This week I was invited to be a guest blogger on fellow writer Lisa Tabachnick Hotta’s Kids and Mental Health blog. Of course, I wrote about good deeds. Think there’s a connection? Naturally! Check it out here. Aren’t these amazing? 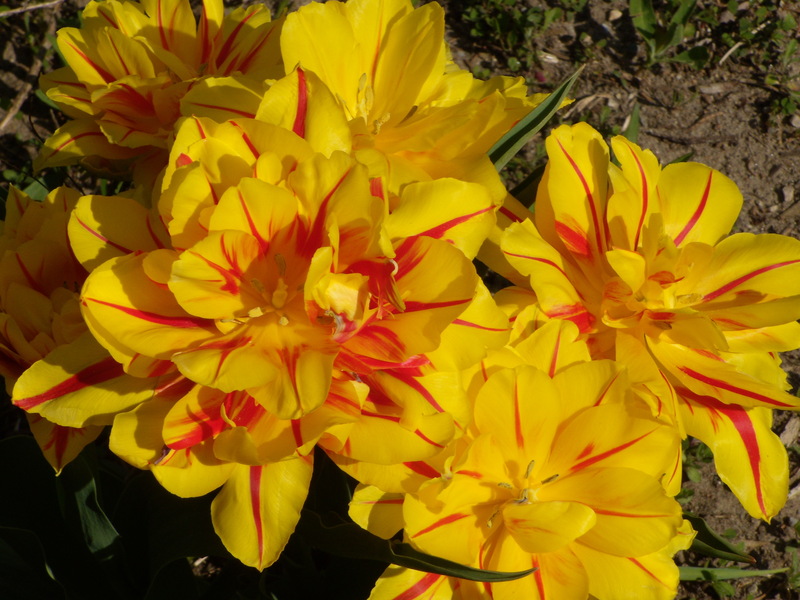 They’re my favourite tulips out of all those blooming in my garden right now. By the way, this photo has nothing whatsoever to do with today’s post. I just thought I’d add a little extra lift today. My teacher friend Nadia put me on to a pretty picture book about making the world a better place through good deeds. “It’s so simply written, and the message is huge!” she wrote to me. So of course I had to see a copy for myself, and looked forward to the arrival of Jack the Bear in the mail. It was a sweet read. 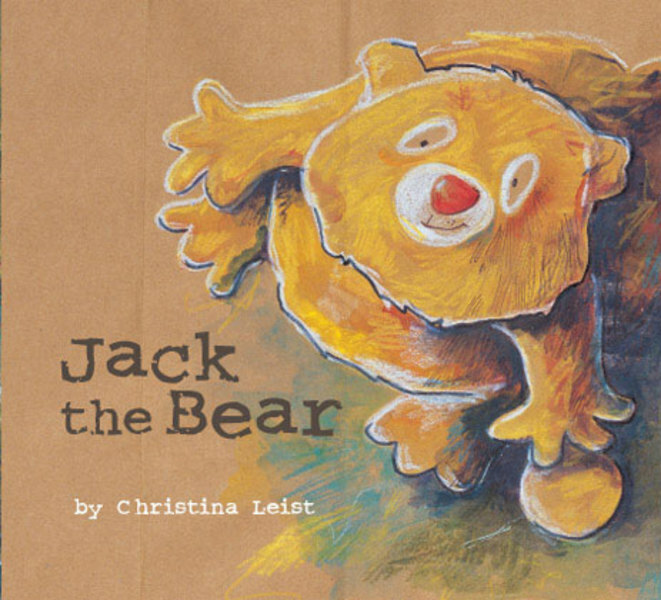 Vancouver author and illustrator Christina Leist uses her animal characters, with some beautiful drawings made on recycled paper shopping bags, to convey to kids the power of a small act of kindness. That’s that chain of kindness we keep obsessing about. Christina adds that upcycling used shopping bags for her artwork is another way she sets an example: It doesn’t take much to change the world. 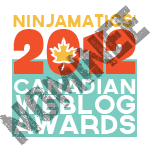 Jack the Bear has been shortlisted for the Ontario Blue Spruce Award and the ForeWord Magazine Book of the Year award. So if you’re looking for reading material for the small people in your life, you may make a mighty impression with this little book.